Uglyworld #76 - Wage Sneaks A Go of Blue Wedgeheads Hat, originally uploaded by www.bazpics.com. 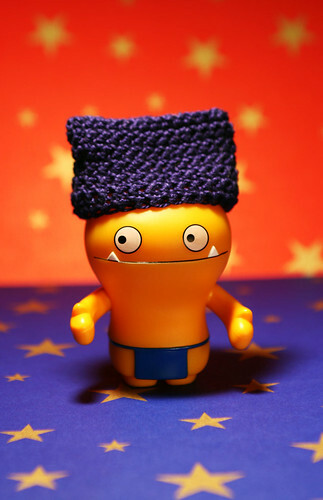 While Wedgehead was still tucked up in bed snoring Wage sneakily managed to remove his hat and tried it on. Knowing that Wedgehead would pound him into the ground if he woke up and noticed what was going on Wage's attention was very much on Wedgeheads eye incase he stirred.